Christian Stress Management: Why Does God Allow Suffering? 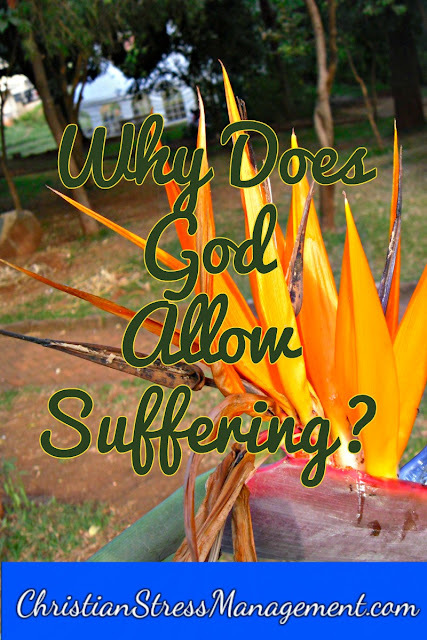 Have you been asking yourself “Why does God allow suffering?” because profound problems have been plaguing your life? Have you been asking yourself “Why do bad things happen to good people?” because you have been faithful to God and you are sure that He could have prevented some of those problems. Have you been asking yourself “Why does God allow suffering?” because the pain from these problems is almost paralyzing you? If you have, read on to discover some of the reasons why bad things happen to good people and why God sometimes allows suffering. Joseph’s suffering period, which spanned 13 years, and which was spent slaving in Potiphar’s house and later as an imprisoned slave in charge of the prison, was the training period that God used to transform him from a spoilt son who was sent to check on his brothers as they herded (Genesis 37:13-14) to the Prime Minister in charge of Egypt. David’s suffering period when lions and bears used to attack his sheep, was also the training period that God used to train him to fight big challenges fearlessly. We know this is so because when he was faced with the challenge of fighting Goliath, David stated clearly for all to hear that “The Lord God who delivered me from the paw of the lion and from the paw of the bear, He will deliver me from the hand of this Philistine.” (1 Samuel 17:37) He then ran towards Goliath confidently because he had learnt while in the wilderness, from his recurrent challenges of fighting lions and bears, how to fight gigantic problems. Therefore if you have been faithful to God and you have been doing the right thing but your life circumstances keep changing from pit to prison or from bad to worse as lions and bears keep attacking you, understand that God could be using those difficult circumstances to train you so that you can fulfill the purpose that He created you to fulfill. Consequently, do not blame God, despair and give up on yourself, on life and on God. Continue having faith in God and being faithful to Him by believing that He will bring you out to rich fulfillment in the end like He did for Joseph and David. 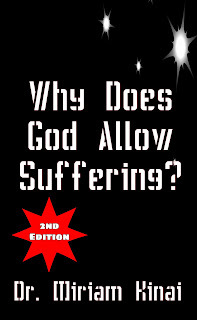 To learn more read Why Does God Allow Suffering?